If you’ve spent any time here on Nootropics Expert, you have a good idea how certain nootropics can benefit your brain. But if you’re just getting started with nootropics, the choices can seem overwhelming. Will one nootropic work? 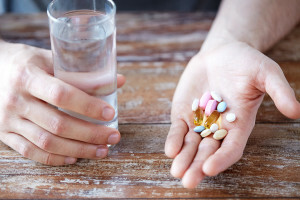 Will it take more that one supplement to solve my problem? If more than one, how do I combine them for best results? If you are a university student, an entrepreneur, a business executive, a stay-at-home mom or dad, or a senior – what are you trying to improve? It could be just one thing you want to work on. Like improving your memory. Maybe you have a difficult time focusing like I did. Or you find learning new material, skill or language an insurmountable problem. You could have an issue with anxiety, or bouts of depression. Procrastination could leave you feeling like a failure because of a lack of motivation. Put some thought into this now because you’ll save yourself a lot of time and money by figuring out what you are trying to fix first. If it’s just one thing you want to fix or support, you’ll have an easier time putting together the right nootropic stack. And often it will only take 3 or 4 nootropic supplements to get you where you need to be. For many of us, it’s more than just one problem we’re dealing with. The good news is it’s entirely possible with the right combination of nootropics to address each of these issues. My life is a good example of what’s possible with the right nootropic stack. I was able to restart my career. My marriage is better than I ever dreamed possible. And my future looks amazing. But to be perfectly honest with you, one nootropic that works for me, may not work as well for you. Each of us have unique brain “wiring”. Our chemical makeup is different. And is affected by foods we eat, where we live, the air we breathe, the genes we inherited from our parents, and more. So experimentation is key. Pick your top choice of something you’d like to improve. Once you find something that works reasonably well, go to the next thing on your list. With time, effort, and diligent experimenting you’ll find the perfect nootropic stack for you. My recommendation is to create your own nootropic stack when starting out. Tailor your stack to each issue your trying to solve. It’ll likely be more expensive because you need to get each individual nootropic or supplement. The advantages at first outweigh the cost in my opinion. When you find something that works, you then need to figure out how much of that nootropic works best with your brain and body. If you try something and it doesn’t work as well as expected, or what you were promised in the marketing hype, or what you read on the forums – pitch it. Flexibility and experimentation is key when you’re getting started with nootropics. A pre-formulated stack doesn’t allow that flexibility. Keep that pre-formulated option in reserve until you nail down what works best for you. Then look for a nootropic stack that fills all your requirements. Let’s briefly look at some of your options for major issues to get you started. This is by no means an exhaustive list but a way to point you in the right direction. Use the search function on Nootropics Expert to find every nootropic that works for memory, or depression, or anxiety, or ADHD, or traumatic brain injury, or whatever it is you need to fix or improve. Cognition includes thinking, knowing, short-, working-, and long-term memory, decision-making and problem solving. Alpha GPC or CDP-Choline. Both nootropics help boost acetylcholine (ACh) in your brain. ACh is associated with memory and learning. Lion’s Mane Mushroom. Lion’s Mane increases Brain Nerve Growth Factor or neurogenesis. Improving attention, focus, thinking, depression, anxiety, and helps repair damaged neurons. N-Acetyl L-Tyrosine (NALT). NALT is a bio-available form of L-Tyrosine which is a precursor to dopamine in your brain. More dopamine helps improve alertness, focus, working memory and executive function (decision-making). Pine Bark Extract. From the French Maritime Pine Tree, Pine Bark extract is used primarily to improve cerebral blood flow. Studies and personal experience show it boosts memory and cognition. Vitamin B6. B6 is a required coenzyme for the synthesis of most major neurotransmitters in your brain. And helps enhance alertness, cognition, energy, memory and mood. Vitamin B9. Folate as a nootropic is involved in the synthesis of dopamine, epinephrine, norepinephrine and serotonin. It’s involved in the synthesis of DNA, RNA, gene expression, amino acid synthesis a myelin synthesis and repair. Vitamin B12. B12 is essential for the synthesis of DNA, RNA and neurotransmitters in your brain. B12 enhances alertness, cognition, memory, decision-making and mood. We use several different types of memory every day. Short-term memory is also known as primary or active memory. And is limited to what you remember for 20 to 30 seconds. Long-term memory is the type of memory associated with an event or information you acquired long ago. This is a complicated form of memory influenced by your perception of an event or thing, conditioning or any other input. And is encoded using long-term potentiation and strengthening neurons and synapses. Each type of memory can be assisted by different nootropics. Because neurotransmitters, cerebral blood flow, long-term potentiation, hormones and more all come into play for memory. DHA (Omega 3). DHA makes up a large portion of your brain’s gray matter. This fatty acid helps form cell membranes, neurons and synapses which are needed to form and encode memories. Huperzine-A. Hup-A helps promote memory by increasing acetylcholine levels. L-Theanine. Found naturally in green tea and available as a nootropic supplement, L-Theanine helps boost dopamine and serotonin. Improving anxiety, focus, learning, and mood. Noopept. Noopept stimulates dopamine, nicotinic and serotonin receptors in your brain. Boosting cognition, memory, retention, logical thinking, improving your reflexes and mood. Phosphatidylserine (PS). PS is vital for brain health. Highly concentrated in cell membranes, PS helps in the release, storage and activity of neurotransmitters and receptors. Boosting cognition, focus, memory and recall. Piracetam. The original nootropic, Piracetam influences AMPA and NMDA receptors in your brain. Affecting learning and memory. Do you remember what it used to be like to be in a ‘good mood’ all of the time? Anxiety and depression are something most of us have had to deal with at one time of another. For me, being Adult ADD and hypothyroid was like a double whammy. And it took a while to dig out of the hole I was in. Anxiety[v] and depression[vi] are often ‘grouped’ together both in nootropic circles as well as in the psychiatric/medical world. But they are two distinctly different conditions. Even though the cause of anxiety and depression may overlap. All kinds of conditions can contribute to anxiety and depression. Neurotransmitter levels that are out of balance can cause severe depression. Illness and stress can cause anxiety and depression. Here are a few nootropics that can help. This is by no means an exhaustive list. And if your depression or anxiety is severe, please, please seek professional help while you’re exploring your nootropic options. Aniracetam. This member of the racetam-family of nootropics, Aniracetam is very well known for helping anxiety and depression. And one of my favorites. Aniracetam activates D2 and D3 dopamine receptors in your brain. Improving anxiety, cognition, learning, memory and mood. Alpha GPC or CDP-Choline. Both nootropics help boost acetylcholine (ACh) in your brain. 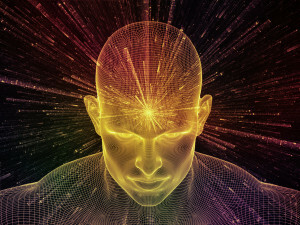 ACh is associated with memory and learning. And the choline is needed when stacked with any racetam. Ashwagandha. Used for thousands of years in Ayurvedic medicine, Ashwagandha helps relieve stress, fatigue, restores energy and concentration, and normalizes blood sugar. Bacopa Monnieri. Bacopa is believed by some to be the best nootropic available today. This adaptogen helps prevent chemical and physical stress instead of suppressing them like many modern antidepressants. Lemon Balm. This plant from the mint family, Lemon Balm inhibits the GABA transaminase enzyme. Which in turn helps maintain adequate levels of GABA in your brain. Resulting in a calming effect and relieving anxiety and depression. Rhodiola Rosea. Rhodiola increases AMPK which helps decrease depression and stress-related mood swings, reduces fatigue, stimulates energy and alertness and boots cognition. Sulbutiamine. Synthesized in the lab from Vitamin B1 (thiamine), Sulbutiamine is another favorite of mine because it boosts memory, motivation and is a heck of an antidepressant. If you’ve ever felt mentally drained after writing an exam, an intense study session, a misunderstanding with your partner, or working out a business problem ▬ nootropics can help. Energy and motivation kinda’ go hand-in-hand in my book. When I’m energized, it usually translates into motivation to get things done. 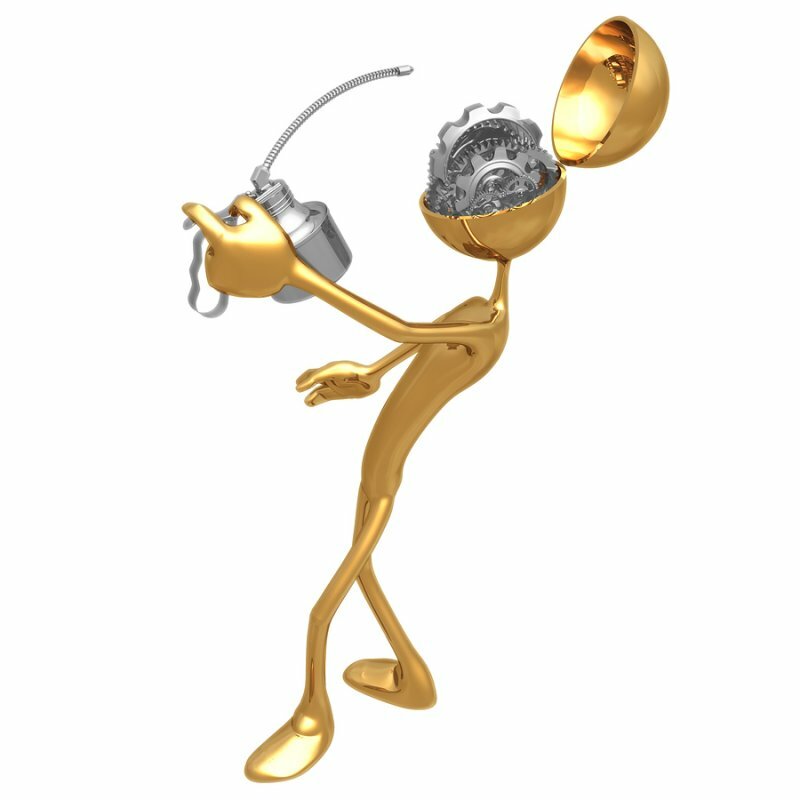 When energy stores are depleted in my brain and body, I’m burned out and nothing much is going to happen. Mental fatigue has a variety of causes. Depleted neurotransmitters can cause fatigue as well as a host of other issues. A lack of Adenosine Triphosphate (ATP) which is the energy source for brain cells is another cause of mental fatigue. And leads to neurodegenerative disease. Hormones that are out of balance can cause fatigue. And poor cerebral blood flow which provides oxygen and nutrients to brain cells can result in fatigue. The amount of available mental energy has a direct influence on cognitive and mental performance. Let’s look at the nootropics that can fix mental fatigue and boost motivation. Acetyl L-Carnitine (ALCAR). ALCAR boosts acetylcholine (ACh) and transports fatty acids through cell membranes into mitochondria for use as brain cell fuel. One of my favorite nootropics, ALCAR increases memory, mental alertness, fluid thought and is a powerful antioxidant. Alpha Lipoic Acid. Lipoic acid boosts levels of acetylcholine (ACh) and glucose uptake. And regenerates depleted antioxidants already present in your brain including Vitamin C, Vitamin E, glutathione and CoQ10. Boosting cellular energy and memory. Coluracetam. One of the newer racetams, Coluracetam works as a choline uptake enhancer. And improves AMPA potentiation. The net result is a boost in energy levels. Unlike prescription stimulants, Coluracetam offers a more relaxed, calm and free-minded kind of thought-processing. CoQ10 & Ubiquinol. CoQ10 is essential for producing Adenosine Triphosphate (ATP) that fuels the mitochondria in brain cells. Improving athletic performance, works as an antioxidant, and battles fatigue and depression. Creatine. Creatine acts as fuel for your brain cells. And provides ‘energy on demand’ when you need it. NADH. NADH is a coenzyme used in the formation of ATP, the energy source for mitochondria in your brain cells. NADH boosts alertness, mental performance, energy and memory. Noopept. This peptide-derived nootropic related to the racetam family, Noopept increases BDNF, and stimulates dopamine, nicotinic and serotonin receptors. Boosting energy, cognition, memory, logical thinking, and improves reflexes and mood. Phenylpiracetam. A Russian derivative of Piracetam, Phenylpiracetam improves concentration, memory, motivation, mental energy and offers a stimulant effect. Rhodiola Rosea. Rhodiola increases AMPK which triggers the use of stored energy from fats in your brain cells. Boosting alertness, energy and cognition while decreasing depression and stress-related mood swings. Pramiracetam. A derivative of and more potent than Piracetam, Pramiracetam stimulates choline uptake in your brain. Boosting energy levels, providing focused stimulation for better mental drive and motivation. And that’s just for the USA. This is clearly a world-wide problem for the human race. 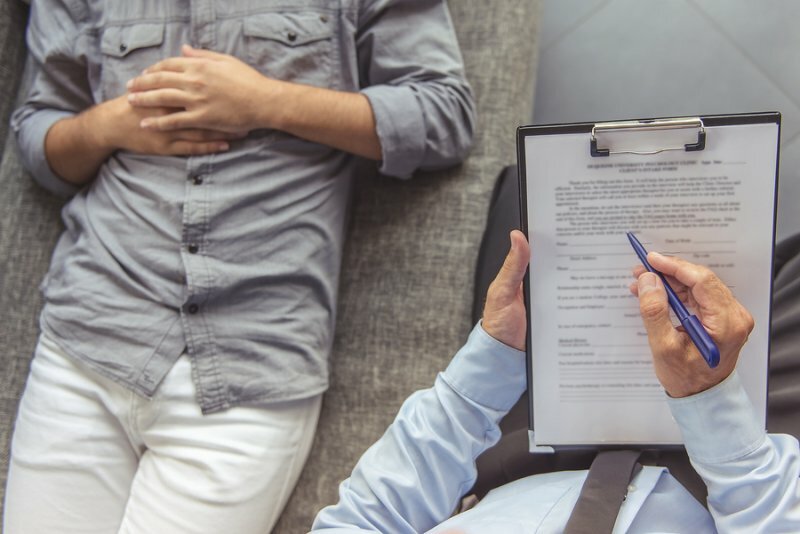 Brain injury covers a lot of territory and includes concussion, Post Stroke Syndrome, sports and athletic injuries, damage from pharmaceuticals, environmental toxins, bad food and water, polluted air and more. The mechanics of injury can affect cerebral blood flow, torn tissue, damage to neurons, altered brain waves and neurotransmitters, free radical and oxidative damage and more. Now the “official” line from the FDA and other governmental authorities in the USA and many countries world-wide, nootropic supplements and other ‘natural’ substances cannot repair brain injury. CDP-Choline. CDP-Choline provides your brain with choline which aids in the synthesis of acetylcholine (ACh). And cytidine in CDP-Choline converts to uridine which is important for neural membrane synthesis. Phosphatidylcholine (PC). PC is a phospholipid which helps build and repair brain cell membranes. PQQ. The enzyme cofactor PQQ facilitates the growth of new mitochondria in your brain cells. Boosting the production of nerve growth factors in cells that support creation of new neurons. And reduces inflammation and oxidative stress. Pramiracetam. This derivative of Piracetam, Pramiracetam increases acetylcholine receptors in your brain. By stimulating choline uptake in your brain, this nootropic boosts energy levels and improves cognition and motor coordination. Pterostilbene. Found in cranberries, blueberries and grapes, Pterostilbene is a potent antioxidant, stimulates Brain-Derived Neurotrophic Factor (BDNF), and promotes neuroplasticity. By reducing oxidative stress, Pterostilbene helps prevent heart attacks and stroke. Resveratrol. This polyphenol antioxidant found in the skin of grapes, Resveratrol improves blood flow and reduces inflammation. Improving cell survival and neurogenesis in the hippocampus, resulting in better memory and learning. Turmeric. Turmeric is unique in its ability to reduce inflammation common to Parkinson’s, Alzheimer’s and brain tumors. There are many ways to address each issue you’re dealing with when it comes to optimizing brain health and function. If you’re a nootropic veteran I’m sure you’ll find holes in my recommendations. Each section is most definitely not a conclusive list of nootropics for a single condition. I encourage you to use the “Search” function on Nootropics Expert. 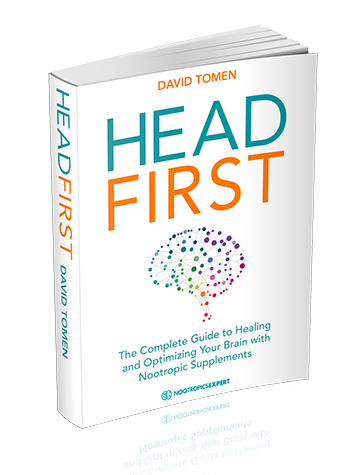 Enter the issue you’re dealing with and you’ll get a list of articles with suggestions for your nootropic stack. By no means should you include everything listed under “memory” for example in your stack. 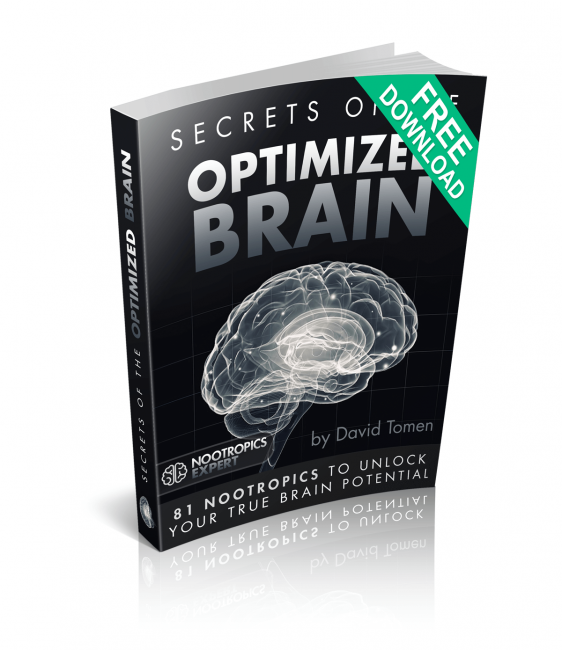 One or two options from each section can help you toward your ideal nootropic stack. Many nootropics work synergistically and together can make a more powerful solution than a nootropic on its own. When combining several nootropics in a stack you’ll want to back off to the lowest recommended dose of each to start. You also may have noticed that some nootropics appear in several categories. What this means is most nootropic stacks would benefit by including Alpha GPC or CDP-Choline, DHA, and a nature-identical B-Vitamin Complex. Be sure to click through to each nootropic to review dosage recommendations and side effects. Each article has extensive references to clinical studies as well. Early in this article I mentioned pre-formulated stacks as an option that you could use to replace individual nootropic supplements. Finding the right pre-made stack can save you time and often quite a bit of money. After experimenting with many of the well-known stacks, I settled on Mind Lab Pro®. Mind Lab Pro contains therapeutic dosages of 11 top quality natural nootropics including; CDP-Choline, Bacopa Monnieri, Lion’s Mane Mushroom, Phosphatidylserine (PS), N-Acetyl L-Tyrosine (NALT), L-Theanine, Rhodiola Rosea, Pine Bark Extract, and Vitamins B6, B9, and B12. I’ve found it less expensive to use this stack than buying each nootropic on its own. All I’ve had to add is coconut oil, DHA, Aniracetam and Sulbutiamine. And I’ve recently replaced separate supplements including ALCAR, Alpha Lipoic Acid, CoQ10 and PQQ with Performance Lab® Energy which contains all four nootropics in the dosages I was using. And is less expensive than buying separate supplements. Check out my reviews on Mind Lab Pro® and Performance Lab® Energy and see if they could work for you too. If you have questions about building your perfect nootropic stack, please leave a comment in the comment box below. I or another experienced neurohacker in our community will help you out. Hi I would like to help assist my current ADD medication safely. I have been on some type of stimulant for 20 yrs.. I do keep my dosage low and switch from long acting to short acting to help tolerance. But I need more focus motivation drive etc. Please let me know what you have used successfully.. Also what do u know about neuroscience Excita plus? Terre, I’ve been able to avoid tolerance with Ritalin by using Mind Lab Pro, 800 mg NALT, 800 mg ALCAR, DHA, B-Complex vitamin and coconut oil. Longterm use of stimulants will deplete your neurotransmitters especially as you get older. It is also hard on neuroreceptors. You can help avoid this by supplementing with things like NALT and ALCAR. DHA helps repair neurons. Coconut oil makes sure whatever you’re taking gets to your cells. And the B-Vitamins are needed to synthesize neurotransmitters and cellular energy. According to the label on NeuroScience Excita Plus it’s simply a scaled down B-Complex vitamin with a “proprietary formula” of natural compounds to support neurotransmitters. I hate proprietary formulas because I don’t think they can be trusted. I can’t tell how much of each ingredient is truly in their formula. That’s why I love Mind Lab Pro so much. I know exactly what’s in their formula including amounts. So I know what I need to add for my unique issues. Pricing is better too compared to most other pre-made stacks. Including Excita Plus. I’m new to nootropics but I’m looking to use them to give me some relief from my add that I’ve been battling for 10 years and didn’t find out I had it till a month ago. From what I’ve read making my own stack is the best option. I’ve come up with this. If you would let me know what you think. Matt, I think that’s a great stack for ADD and looks very much like my stack. You may also want to review this post on ADHD/ADD > https://nootropicsexpert.com/best-nootropics-for-adhd-add/. Funny you should ask. I’m about to write a page on Where to Buy Nootropics. There is no “best” place I’ve found in the last 10 years. But it depends on what you’re looking for. Most amino acids, adaptogens, choline, and vitamins are available from Amazon to Whole Foods to the Vitamin Shoppe here in the USA. I always look for a supplement maker who can back up their claims for purity, potency, etc. David thanks man your a huge help!!! David which racetam is better for ADD? I can only tell you what’s worked for me. And it’s Aniracetam. It works on serotonin and dopamine. And safely boosts glutamate. The end result is better learning and memory, and has a potent anti-anxiety and antidepressant effect. And it repairs synapses which is important if you’re on ADHD meds. Because long-term these stimulants reek havoc on your neuroreceptors and synapses. Aniracetam seems to repair them. Best Nootropic stack I have developed. All works together like magic. – Suppliments/Perscriptions – Dosage and Abridged Benefits – All the supplements are the most readily bioavailable I can get my hands on and from reputable suppliers. – Cymbalta – 60mg 1x — Perscription — SSNRI — Depression. – Dexilant – 30mg 1x — Perscription — Gastric Reflux. – Adderall 5-40mg — Perscription — Energy, Focus, Concentration. – Klonopin 1-2mg — Perscription — Anxiety Relief. – Turmeric – 500mg 1x — OTC — Anti-inflammatory, Joint Health. – CoQ10 – 100mg 2x — OTC — Antioxidant, Helps Cells produce energy for growth. – Milk Thistle – 150mg 1x — OTC —Liver Protectant and Repair. – Vitamin C – 1000mg 1x — OTC —Nutrient, Protects multiple body functions, Antioxidant. – L-Theanine – 150mg 2x — OTC —Relieves Stress, Anti-Anxiety, May prevent certain cancers and heart issues. – Acetyl L-Carnitine – 500mg 1x — OTC — Antioxidant, Supplies brain with energy, anti-aging. – R-Lipoic Acid (ALA) – 100mg 3x — OTC — Antioxidant that repairs damaged livers. anti-aging properties. – Alpha GPC – 300mg 1x — OTC —Assists dopamine production. Improves Memory, Mood, and Depression. – L-Tyrosine – 500mg 1x — OTC — Assists dopamine and epinephrine production. Relief during stress states. – Fish Oil – 1000mg 2x — OTC — Aids in treatment of depression, anxiety, ADHD, inflammation, arthritis, etc. – B-6 – 100mg 1x — OTC — Protects the immune system, positive effects on skin, kidney, PMS, mood disorders. – B-12 – 1000mg 1x — OTC — Keeps nerves & red blood cells healthy. Reduces stress, depression and fatigue. – Melatonin – 1.5-6mg x .5-2 — OTC — Treats acid reflux. Helps sleep. Assists Migraine, Cancer, Heart Problems. Ryan, thanks for sharing your stack with us. Couple of suggestions… Have you considered using NALT instead of L-Tyrosine? 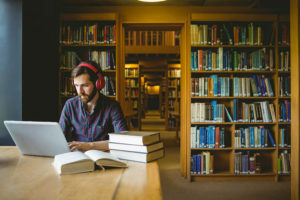 Hi i have difficulty studying straight for 2 or 3 hours, i procrastination very easy… What you think is the best stack for studying and solving physical problems and math problems? For my research i think noopept, cdp choline and l-thyrosine might be a good one. Do you add any nootropic here or might replace some of i mentioned? I have researched too alcar, l-theanine, coluracetam and they all seemed quite good too. Hope you can help me, thank you. Francisco, take a close look at the nootropics in the “Nootropics for Energy and Motivation” section. You need to fuel your mitochondria and increase cerebral blood flow. Noopept and CDP-Choline are good choices. You may also want to consider Creatine, CoQ10, a highly bioavailable B-Complex vitamin stack, and ALCAR. But please see the dosage notes for each of these nootropics. Often the dosage recommendations on the bottle are too low to be effective. Follow the dosage instructions here on Nootropics Expert. That way you’ll know quickly whether a nootropic is providing the benefit you want. Or it’s not working for you and you need to try something else. After reading some of yours articles, like “the begginers guide to nootropics stacks”, “best nootropics”, etc i will order Lion’s Mane Mushroom; DHA Omega 3 and a product that has together all vitamines B complex, Bacopa and some L-Thyrosine. After that i just will buy noopept and CDP-choline. First i want to know what works best for me. Can i take Lion’s Mane Mushroom, DHA omega 3 and the product with bacopa and vitamines B all together in the morning? And what abou noopept and cdp- choline, may i mix all this together in the morning? Thank you for your work, best regards. Francisco, that stack should work well together. And can be taken together. Let us know how you it works for you. Hi David I read your amazing work. Can you comment on the PDE4 inhibitiory action of milk thistle as I feel it has a very energizing effect .C an this be an alternative to artichoke in the nootropic list ? Jawad, I haven’t done much research on milk thistle so please do not take my response as gospel. But as far as I can tell Artichoke Extract is a far better PDE4 inhibitor than milk thistle. If your intention is the benefits of the CILTEP stack I would stay with artichoke extract. Hi David. Please help! I am so confused. The more I research the more confused I become. I want to clear up brain fog. What do you recommend? David, it’s impossible to answer your question without knowing what medications you are using, what medical conditions you are dealing with, what other supplements you are using, and lifestyle. Until you analyze at least generally what is causing the brain fog you will not be able to successfully choose the right nootropic supplements to help your condition. My mother had 2 strokes back in October 2017. I’ve been trying to find the ideal nootropic stack to help her cognitive functioning. She’s currently taking Calcium-Magnesium 100 mg 3x daily, COQ 10 300 mg once daily, DMAE 300 mg once daily, Acetyl-L-Carnitine HCL 750 mg 3x daily, GPC 600 mg 3x daily, and phosphatidylserine 150 mg 3x daily. I was thinking of adding piracetam and hydergine to this stack. Do you think that is a good idea and is it ok to take both DMAE and hydergine in the same stack? Any suggestions? Michael, I haven’t done much research on hydergine so I cannot speak with any kind of authority on using it as a nootropic. The quick bit of research I did shows it has been used somewhat successfully for treating stroke. Why did you choose DMAE? I am an engineer in my late 30’s and could be classified as one of those ‘silicon valley types looking for a boost’. I have never been diagnosed with ADD but I do see myself struggling with an ability to focus when a liberal amount of stress is NOT applied. I also had a TBI (Traumatic Brain Injury) a decade ago but I feel I am recovered from this. I also could stand to drop a few pounds but the energy and motivation here seem lacking. My question is this: I am totally new to this but looking to build a stack with Mindlab Pro as the base and add on to that… Well honestly this is where I get stuck. I listened to your best nootropics of 2018 and part of me says, why not add them all? Question 2 is that Mindlab seems to provide a base but the quantities of some things seem to be too low such as Bacopa. Do you take Mindlab and then stack more Bacopa on top? Question 3 is related…How do you handle creating a stack with Mindlab as your base? For example, If I were going to create a stack with all of the items on your “Best of 2018” list (assuming this is a good idea), is it as simple as creating a list of chemical names and crossing out the ones that Mindlab already uses? It seems it cant be this easy as they seem to be missing some of the B-Complex vitamins. Thank you so much for your time and knowledge devoted to this topic! Ben, great questions. Using Mind Lab Pro as the base for your stack is a good idea because … well, you have somewhere to start. But then it all depends on what your goal is for optimizing your brain. My issues start with Adult ADD and hypothyroidism. So I start with boosting dopamine, acetylcholine, supporting my thyroid and adrenals. And I had a psychiatrist tell me 10 years ago I was dealing with PTSD. No idea where that came from but assuming he’s correct, I need to repair my brain best I can. Mind Lab Pro as a starter stack works for the relatively ‘healthy’ brain as is. The nootropics in that stack work in synergy so what may seem like a low dose isn’t. Because of the way they work together. Much too deep to go into here and one of the reasons I wrote a book on it (Head First). You can safely use everything in the Best Nootropics for 2018 video. I do and it works great. But then I don’t have a ‘normal’ brain. It’s broken and I continue to fix it. You are correct that a highly bioavailable B-Complex supplement needs to be used along with Mind Lab Pro to start your stack. I would also make sure you’ve got adequate magnesium, zinc (your a guy), copper and DHA. Finally, you may want to boost the dose of a particular nootropic in the Mind Lab Pro stack. Depending on what you’re trying to fix. In my case, the NALT is too low because I need more dopamine. So I add 800 mg of NALT 3-times per day. And Citicoline is too low so I add 300 mg of Alpha GPC 3-times per day. See where I’m going with this? Take it step by step and figure out what you need to fix first. Use the basics from this comment. Consider using everything in the 2018 video and see how you feel. If you have any more questions please reply to this comment. I’m a newbie and have a couple question on supplements I will be trying out. My goal is to improve my studying and help retain the information. I’ll be ordering huperzine a, dha, Vinpocetine, alpha gpc and Phosphatidlyserine. Will these supplements help me with my goals? I’ll be taking the mentioned supplements daily and huperzine only twice a week. Thanks for the suggestions. I do take a multi that has the 13 essential vitamins listed on your post and will be looking into ordering methylene blue. I forgot to mention this earlier can I also incorporate GABA and Ashwagandha into my stack? GABA and Ashwagandha are a good addition but keep in mind that GABA as a supplement is not very bioavailable. Because the molecule itself can’t easily cross the blood-brain barrier. Look for a GABA supplement that uses the proprietary PharmaGABA™ which does cross the BBB. For your multi, please check and make sure you are using a multi that uses bio-identical ingredients. Many multi’s, even from supplement makers who should know better, use ‘folic acid’ instead of ‘folate’, and ‘cyanocobalamin’ instead of ‘methylcobalamin’. Neither of these synthetics can be used by your body and brain. And can do more harm than good. I’ve just published a review on a new Multi I’ve been using for the last couple of months. And it’s the best multivitamin I’ve ever used. It’s called Performance Lab Whole-Food Multi for men. I can actually feel the difference when I’m using it which I’ve never experienced even with other really high quality multivitamins. Thank you for all the information you have to provide. Im taking a new job as a mortgage loan officer and looking for the best nootropic supplements that will help with daily energy, motivation, focus, productivity, and help my social anxiety. Thank you in advance. Thomas, select one nootropic from each category mentioned in this post. And see how they work for you. In a couple of weeks of consistent use I suggest coming back to this list. You’ll be in a better position (with a little experience) to consider trying something else if you haven’t received the total benefits you are seeking. Another option is getting a couple of pre-formulated nootropic stacks. I suggest trying the Performance Lab Whole-Food Multi for men, Performance Lab Mind and Performance Lab Energy. That way you are covering all the bases and doing it with the best products on the market right now. And this combo may be less expensive than trying to put together individual supplements based on the categories above. I lack motivation and have short term memory problems. I put something down and don’t recall where i put it and just have to search the house until i come across the item. Happens multiple times a day.I also can never remember a name of a film or book i’ve read or are reading. I’m having trouble recalling events that have only recently happened. This has been going on for many years. I noticed when i started taking coconut oil that my energy increased and stuff i wanted to do but put off was very easy accomplished. I had so much energy i thought i’d paint the house. It was so good i increased the coconut oil from 1tablespoon to 2 tablespoons. But that effected my memory in a different way. I’d be half way through a sentence and forget what i was talking about and i’d go into a room and forget what i was going in there for. I stoped taking the coconut oil and the forgetting mid sentence etc stopped occurring, but my energy depleted and my motivation vanished. I’ve read your part on motivation. Should i go through the list and try one at a time or combine several supplements at the same time. Which do you think I should start with? Linda, you just learned what many of us “old-time” neurohackers learned the hard way. And that is “more is not always better”. Don’t give up on coconut oil. Only use what your body can tolerate and make sure you’re using unrefined coconut oil. And not refined. Take a look at the sections of the above post for “memory” and “motivation”. It’s two separate sections and the distinction is important. For short term memory you may want to try DHA and Phosphatidylserine (PS). For motivation you may want to try ALCAR, Alpha Lipoic Acid, CoQ10 and PQQ. Please read the review for each one and understand how they work in your brain. Second, I am looking for a stack which can feed my brain so it can help me increase my memory, concentration, motivation and learning. I am thinking on buying ALPHA GPC, Lion s mane, L theanine and B complex? ….are they ok? or to many? I also do strength training from which my nervous system take some beat, can al these improve my recovery time? Your proposed stack is a good start but you’ll need more than those four if you want to increase “memory, concentration, motivation, and learning”. And improve recovery time. For learning, memory and motivation you’ll need NALT or L-Tyrosine, and Pine Bark Extract as well. I have to say this pos was awesome to read and learn more about nootrpics. I do have a question for you. I use to take nootropics a few months ago until my wife told me I need to see a doctor because of my ADHD. I after seeing the doctor they placed me on adderall 10mg to start out with, and currently i’m at 15mg since last week. I notice after being on adderall for a couple weeks now i feel like i’m not really retaining much information. I’m more focus and that’s great on getting things done at work, and home. but when I start to read my study exam books feels like i have brain fog. It’s almost like my working memory is not really retaining the information i’m reading. it’s like reading the words, and not getting it. I read that some users are using adderall and some nootropics stack. Would this be a good idea if so I was wondering if I could start looking into taking noopept. I was thinking of taking adderall in the morning around 10am and noopept close to 3 when I start my studies. let me know what you think if noopept is good or any nootropic I could use for working memory, and long turn memory. I just need something to help me when taking my exam and at work since I do a lot of computer security stuff. Lou, two things come to mind without know more about your situation. First, Adderall may not be your best choice. You may do better with something like Ritalin instead. Second, it’s going to take a lot more than Noopept to have a fully optimized brain. Esp. if you are ADHD. I suggest you take a look at my ADHD protocol that I’ve been using for over a decade. And is not used by thousands around the world. You can see that here: https://nootropicsexpert.com/best-nootropics-for-adhd-add/. Would you mind reviewing before I order? I appreciate it so much!! Is there anything that won’t work as well without adding something else, that I may be missing? Sarah, it’s a good start but I’m not sure about your vendor because I’ve never ordered from them. I suggest your read the reviews and see what others are saying. GABA may work for your because more recent scientific evidence suggests neurotransmitters in your gut directly influence what’s going on in your brain. Meaning that there are other ways for us to affect brain health and cognition other than delivering nootropics across the blood-brain barrier. I want to try out the Mind Lab pro and Performance Lab energy with coconut oil. But should I priorities finding a seller with Aniracetam and Sulbutiamine to get better/full effect of Mind Lab pro and Performance Lab energy? – if yes what dosage can you recommend and is they are product vendor you recommend. I am new ad biohacking. Very happy to come by you site and read your experiences. Martin, Mind Lab Pro and Performance Lab Energy work great on their own. I’ve been using MLP for 3 years every single day and PL Energy since it came out and personally feel the difference. I use Aniracetam and Sulbutiamine primarily as an antidepressant and highly recommend them as well. But they are not critical to getting a cognition boost. I’ve been getting them from Nootropics Depot for the last few months. 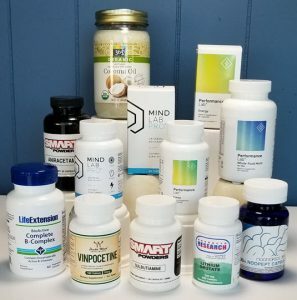 Dosage for each of these is in the individual reviews for each nootropic or stack. I’m still not sure about the dosages. Do you think that this seems like an appropriate stack for improving memory/focus/concentration following a mild concussion? Hello sir, you have been doing an excellent job and have great youtube videos. Analytical accurate structured informative and many other things. also, apart from many symptoms I have, it is difficult to read a book. ( I could only read some times when I drank 10 to 20 cups of green tea but only in the initial period, and also some times when I took a lot of valerian. Markos, Bacopa Monnieri was recommended to devotees in ancient India according to Ayurvedic texts so they could easily memorize long passages of text: https://nootropicsexpert.com/bacopa-monnieri/. But this is the type of nootropic that needs to be dosed correctly and used consistently day after day until you see results. Norepinephrine is naturally the next step in the dopamine pathway. So a nootropic like L-Tyrosine or Mucuna Pruriens will help synthesize dopamine which will go on to make norepinephrine. Use the search field top right of this site and search for “norepinephrine” and see if anything else turns up that may help boost norepinephrine. Hi David! A hug from Portugal! I have been suffering from social anxiety for the last 20 years. Can you recommend the right stack to start without any interaction with my medication. Miguel, both of the drugs you are using affect GABA receptors. So when researching any nootropic you think you’d like to try, make sure you read the “Side Effects” section here on Nootropics Expert. And avoid the supplements that are contraindicated with benzodiazepines. Please see this post which may help you figure out the root cause of your anxiety: https://nootropicsexpert.com/best-nootropics-for-social-anxiety/. Suggestions are offered throughout that post. And the last major section of the post offers suggestions of nootropics you can try. It’s not possible to recommend the right stack for you to start with dealing with anxiety without much more investigation. But hopefully that post will help you narrow down your choices. One way to help you figure out what is going on is to try a nootropic that helps or affects each of the major neurotransmitters in your brain. For example, if you think you have a problem with dopamine, try L-Tyrosine for a week and see if it helps. If not, then move on to serotonin and try L-Tryptophan for a week. And see if that helps. Keep going down the list until you start feeling better. That’s a hint that you are on the right track so you can keep exploring that particular area you may be deficient or dysfunctional in.